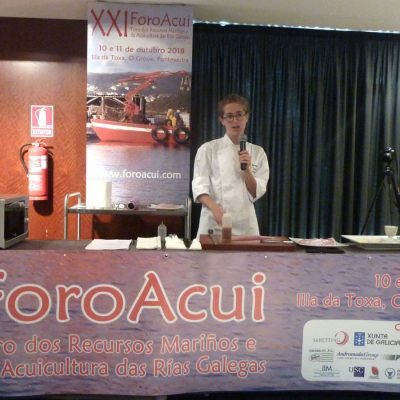 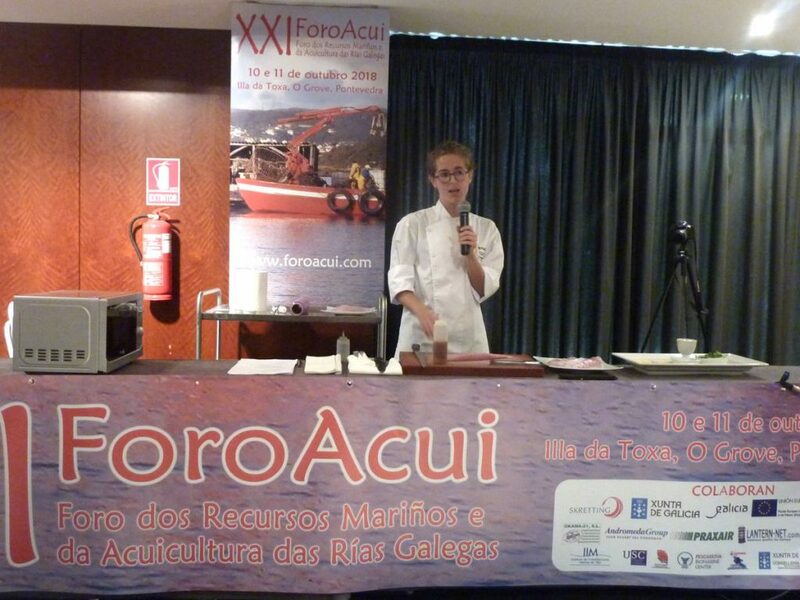 The island of La Toja, in Pontevedra, hosts ForoACUI every year, an interesting meeting that brings together prominent speakers and a large audience. 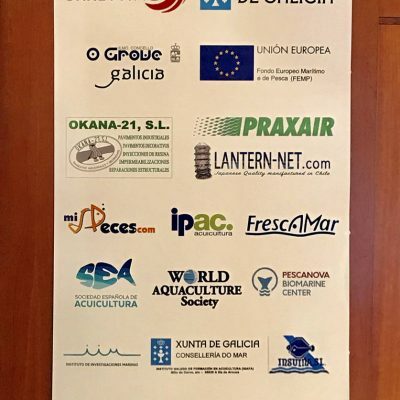 It is a forum about marine and aquaculture resources of the Rías Gallegas open to anyone who wants to discuss and think about these issues whether students, researchers, producers or public officials. 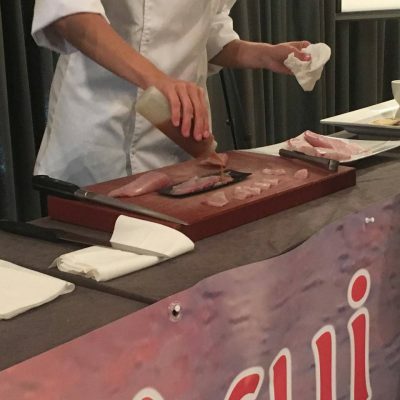 The 21st edition attendance was sold out in the week prior to its celebration which shows the growing interest upraised by these issues. 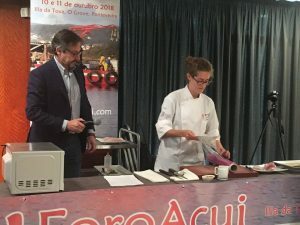 Frescamar Alimentación has also been present this year in the gastronomic side as it has been the company responsible for the closing ceremony showcooking. 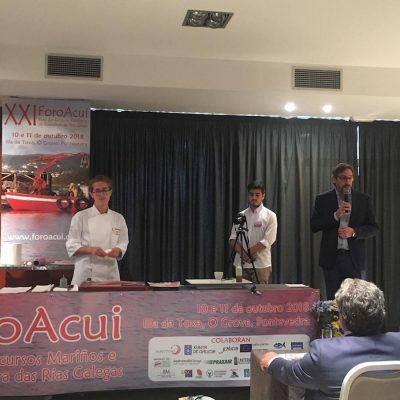 The company’s Quality Manager, Eduardo Soler, has supported the explanation of each one of the elaborations executed with the different products of Frescamar prepared by Laura Castelblanque, student of the Gastronomy & Culinary Management Campus (GASMA). 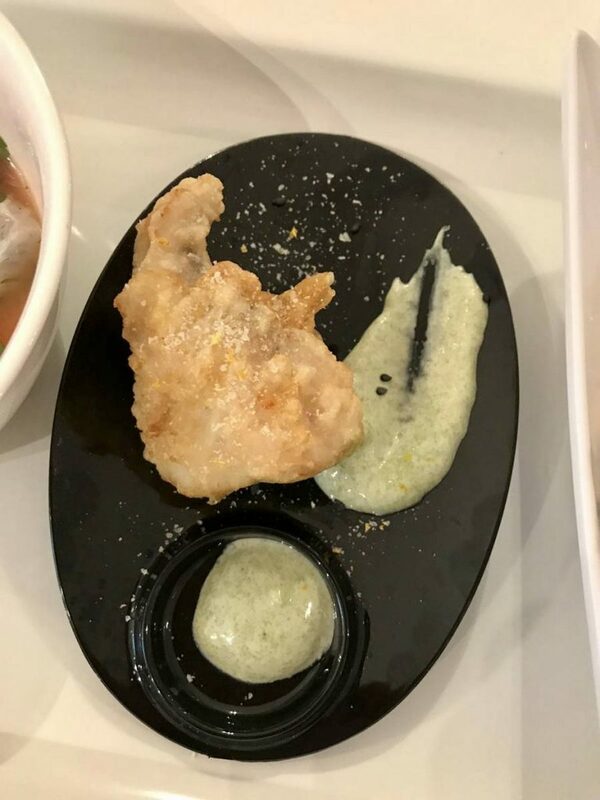 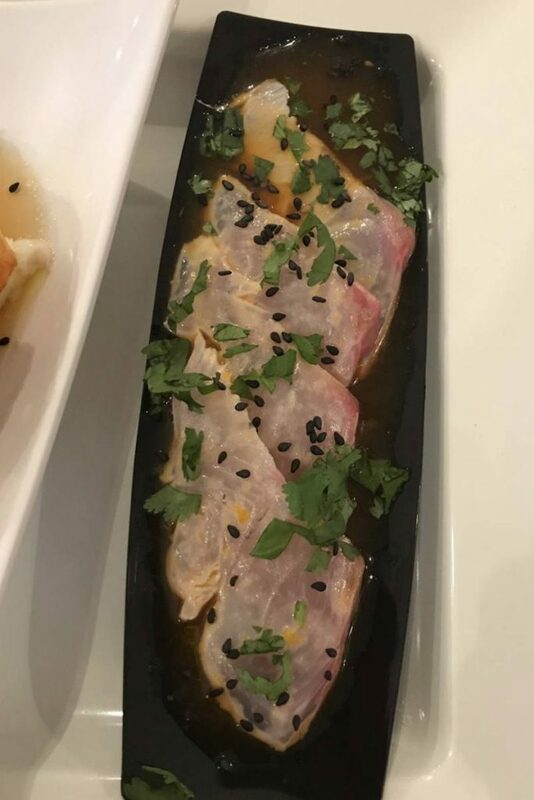 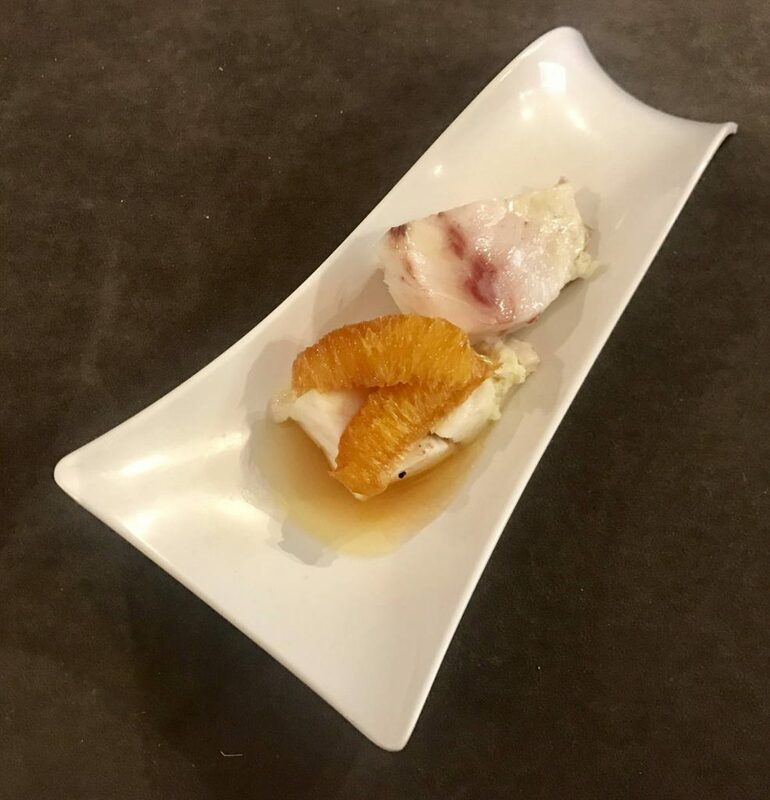 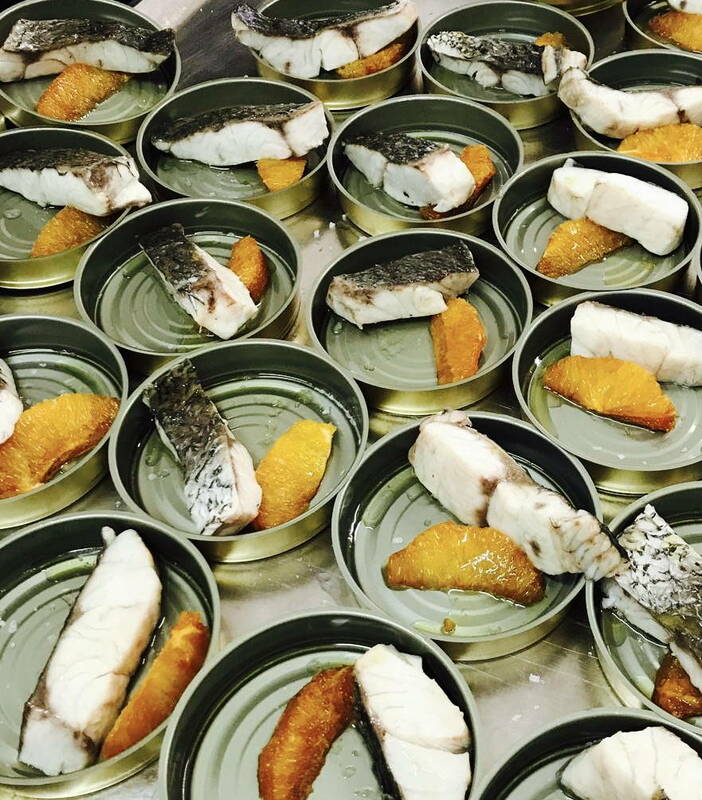 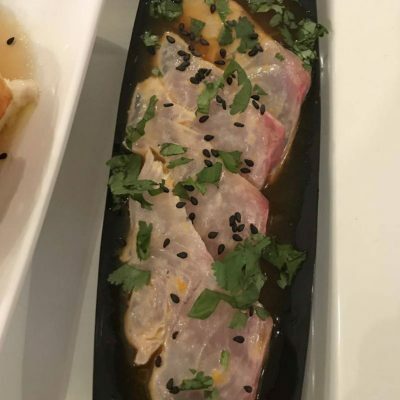 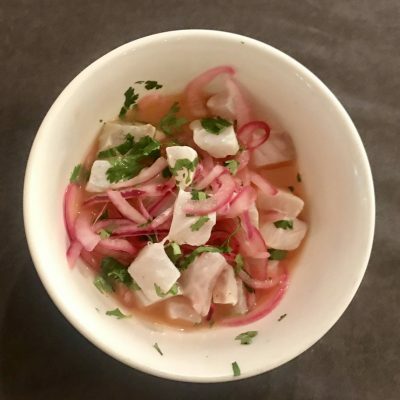 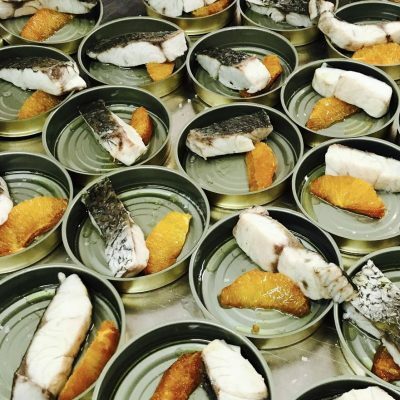 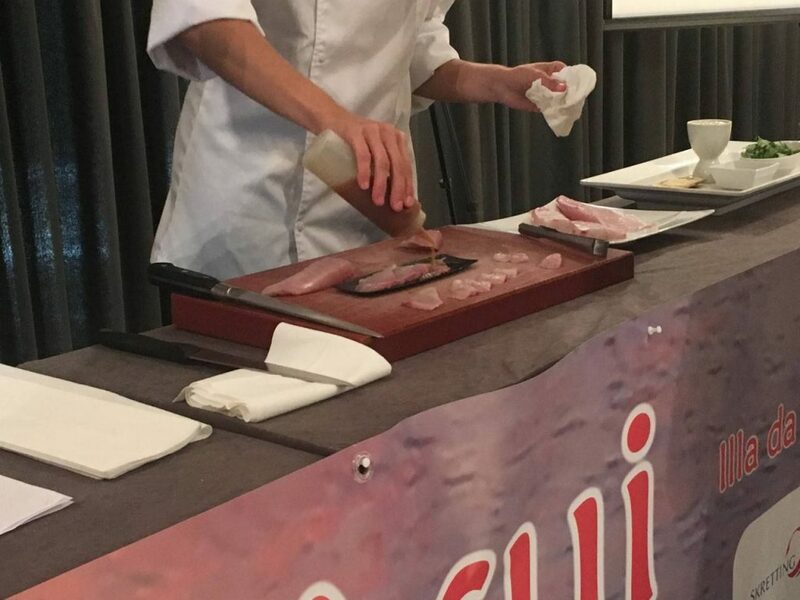 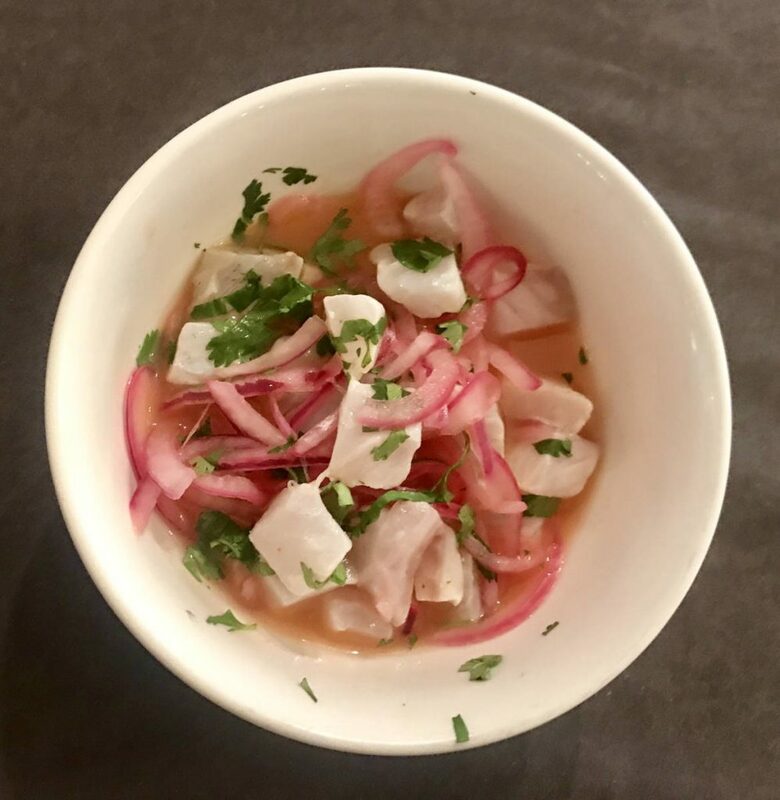 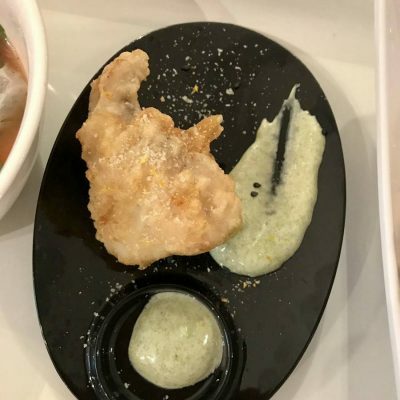 The future Chef has prepared four suggestive recipes: Sugar coated Corvina REX, Shot of BIO Bass Ceviche, BiO Bream Tempura with Codium Mayonnaise and Citrus Salt and Asian Style Tiradito of Greater Amberjack. 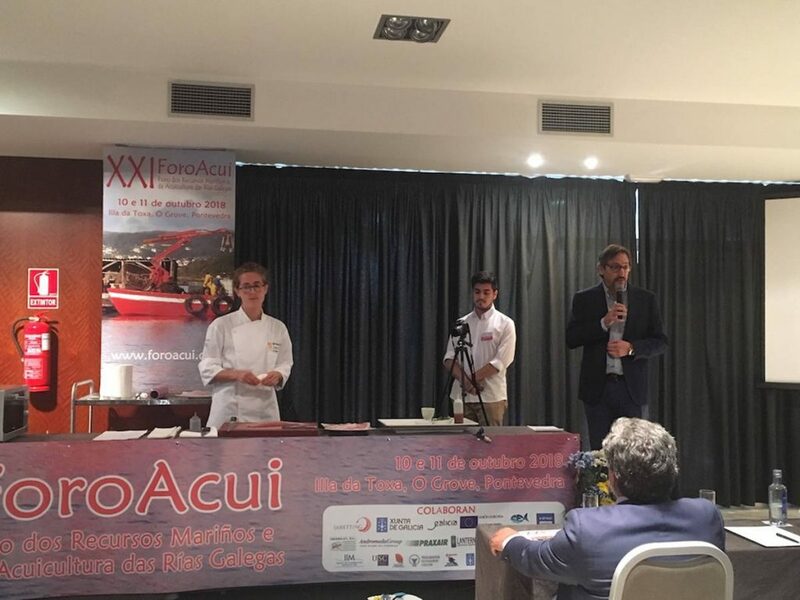 The forum has integrated interesting monographic talks and round tables followed by an open debate among which the table dedicated to aquaculture during the second day morning stood out. 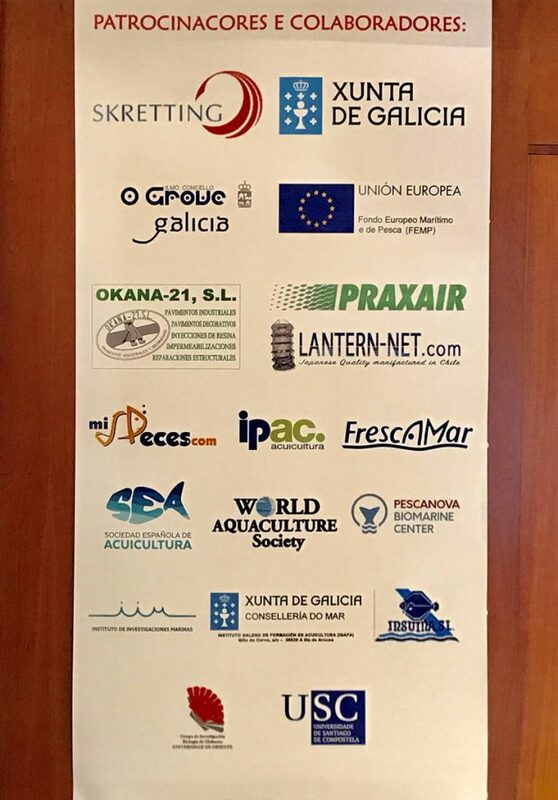 The General Deputy Director of Aquaculture of the Xunta de Galicia, Ángeles Vázquez, spoke about “Sustainable development of aquaculture: its financing through the European Maritime and Fisheries Fund”, while Manuel García, biologist of such General Sub-directorate, focused his intervention in “Projects of good practices financed with the FEMP in the aquaculture sector”.